Alfred’s Enigma is a one hour exciting adventure game in the centre of Celje. Your team researches the city by solving the puzzles and following the clues. Before the game starts your team is provided with all necessary equipment. Your goal is to find the secret location and solve the Alfred’s enigma. The game starts in the park next to a water fountain (Street Gledališki trg 2), where our Game Master will meet you 10 minutes before your scheduled time to provide you with all the information. 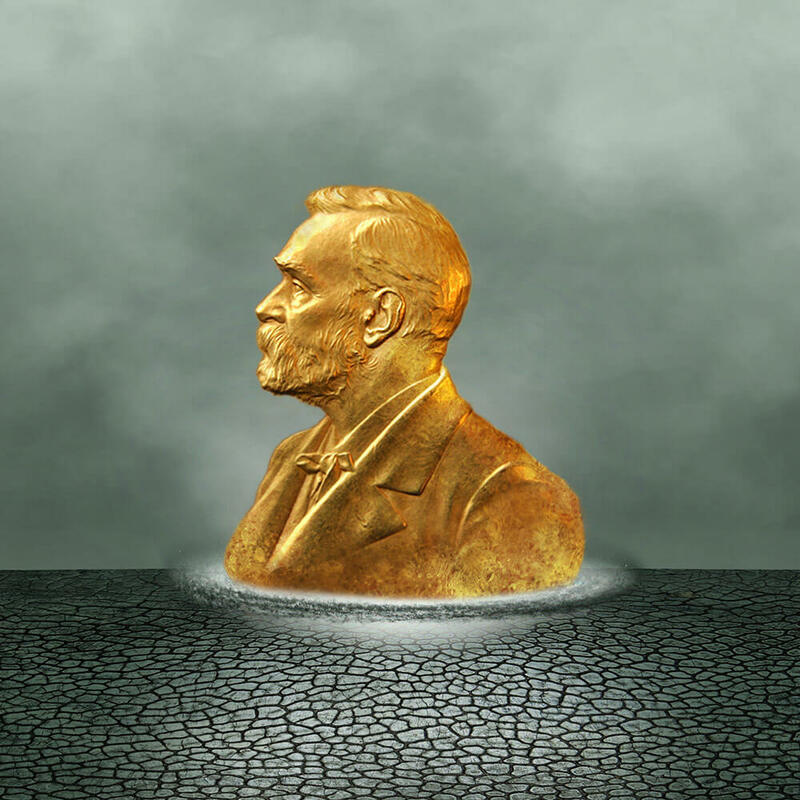 Everyone knows Alfred Nobel, the famous Swedish industrialist and inventor of dynamite, but little is known of his connection to Celje. Only the chosen ones will be able to solve the enigma and prove that they are worthy of the Alfred’s revolutionary discovery that will change the world forever. Will you succeed? We also offer a competitive game mode: gather two teams of 2 to 5 players and simultaneously play the mission. In this version, each group walks a different direction, but the final goal is the same. The game takes 70 minutes and starts in front of our Escape Room on the street Kocbekova ulica 6. You can pay either at the location, by a proforma invoice or with PayPal. Before the game you will be required to pay a deposit of 20€, which will be returned to you after the game. In case of a bad weather prognosis your game will be rescheduled. You need a fully charged phone to communicate with our Game Master in case you get stuck. Is game suitable for children? Of course, children often use imagination and creativity to solve the riddles! Our game is suitable for all players from the age of 8 years on. Children’s groups are accompanied by our Game Master during the game. Do I need any specific knowledge? The puzzles are based on logical thinking, any specific knowledge is not required. How many players can play in the team? The game is best for teams from 2 to 5 players. For the 6th player a surcharge of 10€ is required. Do I have to know the city? Knowing the city and its streets is not required. You will receive all the instructions before the game.